The Winter Speed Sale provided by the Blooded Horse Sale was held Tuesday, Feb. 12. A total of 388 entries were cataloged in the one-day sale at the Champions Center Exposition in Springfield, Ohio and among those in the sale book were several Indiana breds. Many of the Indiana bred entries were out of the sale, but one that got a lot of attention was Gerardo, the sale topper at $50,000. The four-year-old son of Rockin Image was purchased by Kayne Kauffman of Lebanon, Ohio. Gerardo took a career best time of 1:52.4 last season and was a solid top three performer. 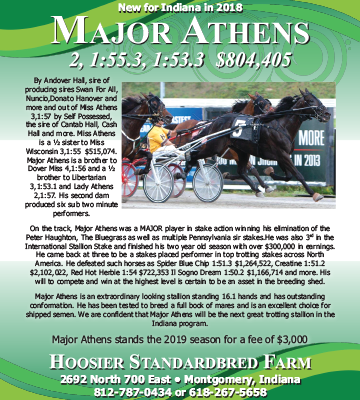 Another Indiana bred that garnered attention was Aholeottarockin brought $14,000. The daughter of Rockin Image was purchased by L’Emmur Stable of Hudson, Ohio. I Just Wanna Win, a Rockin Image mare, was purchased for $4,700 by Lester Schmucker of Grabill, Ind. 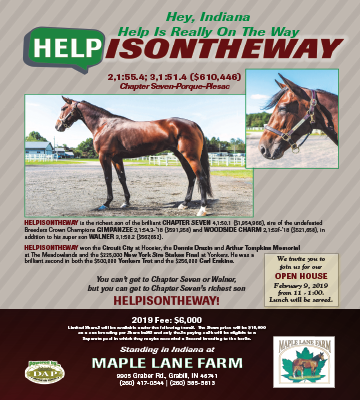 Woodyintheshade, who raced for the Don Eash Stable last season, sold in the November sale and was back in the February sale, bringing $4,000. The Shadyshark Hanover gelding was purchased by Jay Hoover of Pennsylvania. Another four-year-old Shadyshark Hanover gelding, Downwyn Shark, sold to Tyler Stillings for $6,700. 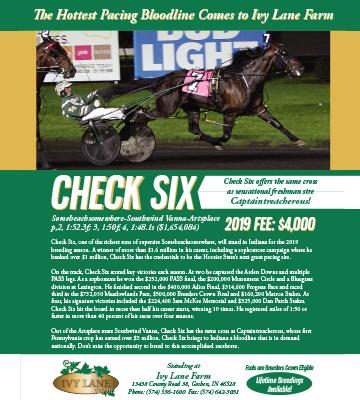 Former Eash horse, ER Volcano, brought $5,800 and was sold to Cory Kreiser of Pennsylvania before several other Indiana breds were walked into the ring. 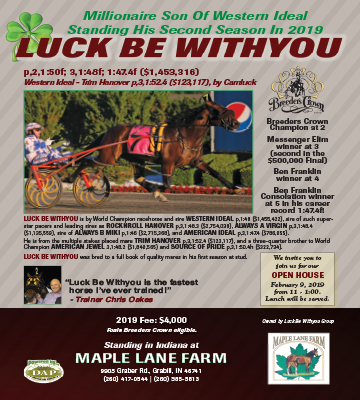 Virgin Speed, an Always A Virgin mare, sold for $6,000 and is headed to Canada while gelding Rock Me Always, also by Always A Virgin, brought $4,300 and was purchased by Brian Downing of Michigan. A third Always A Virgin horse sold. Skyway Jewel, who has a career mark of 1:52.1, brought $7,500 and was purchased by Therl Hensley of Daleville, Ind. Rounding out the pacers was Mystical Thread, a daughter of Fred and Ginger, purchased for $7,000. She is headed to Pennsylvania. A pair of Jailhouse Jesse horses sold, including Jailhouse Serena, purchased for $5,700 by Wabash Valley Farms of Bluffton, Ind. Jailhouse Tuff went to Beachy Bros. of Berlin, Ohio for a price tag of $3,600. Along with Indiana bred horses represented in the sale, several of the buyers were from Indiana. 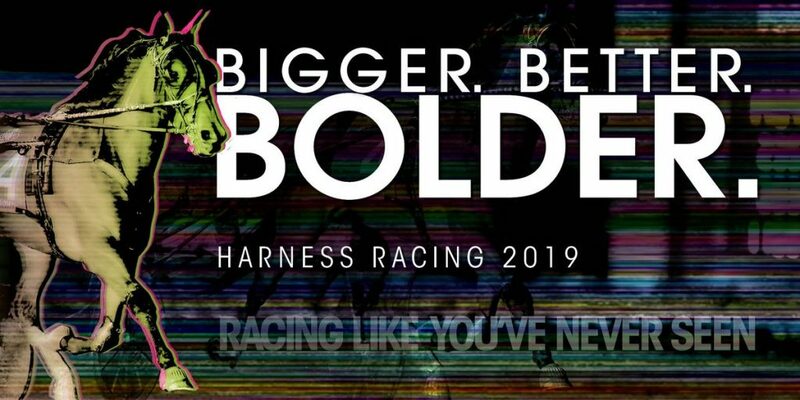 Many horsemen are preparing for the upcoming 26th season of Standardbred racing at Harrah’s Hoosier Park.